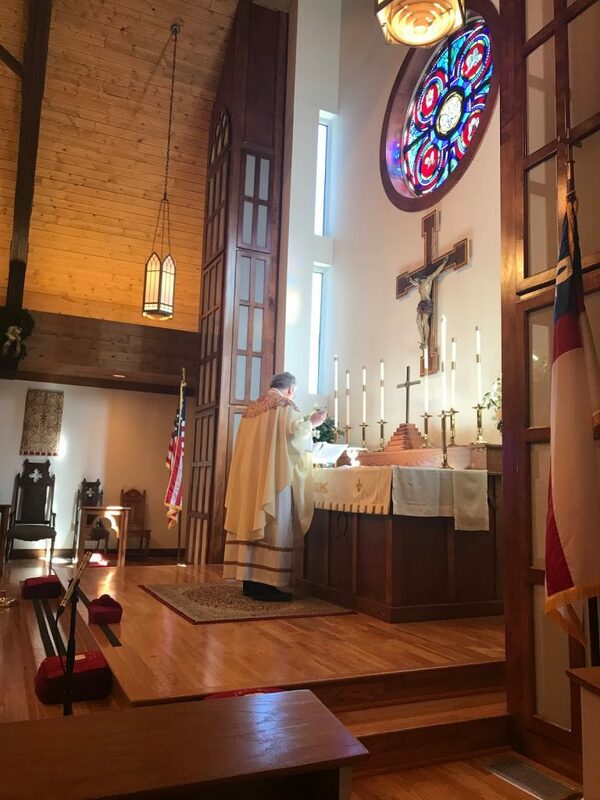 On Tuesday, January 15, 2019, a Dialogue was convened at St. Barnabas Church, Dunwoody, Georgia, on Tuesday, January 15, 2019. The Dialogue continued through the next day. 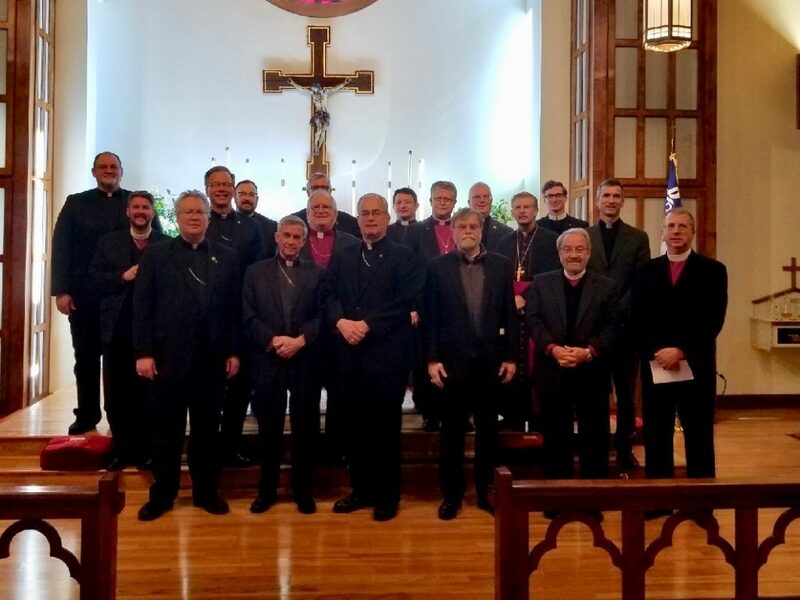 The Dialogue brought together the Union of Scranton, represented by the Polish National Catholic Church (PNCC), and the Anglican Joint Synods Churches (commonly referred to as the “G-4” jurisdictions). The Presiding Bishop of the Anglican Province of America, the Most Rev’d Walter H. Grundorf, who attended the Dialogue, provided the following brief report. In an historic moment during the Dialogue, the Most Reverend Anthony Mikovsky, Prime Bishop of the Polish National Catholic Church, celebrated the Holy Communion, according to the rite of the PNCC, at the altar of St. Barnabas Church on Wednesday, January 16. This was the first time, since 1952, that the PNCC Prime Bishop has celebrated the Eucharist using his own church’s rite at an Anglican church. 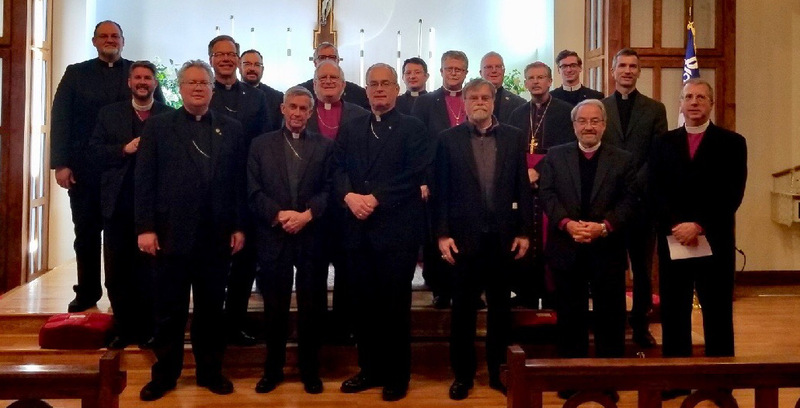 The Dialogue will reconvene on June 18-19, 2019 at Holy Mother of the Rosary Cathedral in Lancaster, NY and will be hosted by the PNCC. .